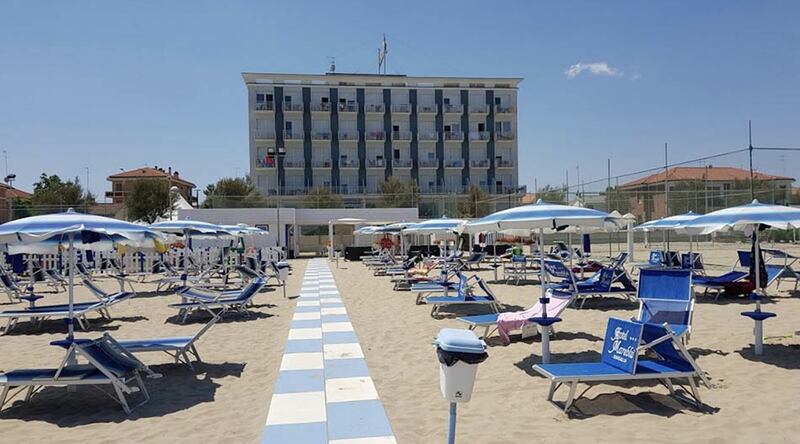 Mareblù does not simply mean Hotel as it is also known for its beach. The bathing establishment opposite our property is ours which is why we can propose our guests advantageous All-Inclusive holiday packages with hotel and beach at discounted rates. We are opposite the beach: our location is ideal for those travelling with very young children but also for whoever seeks the opportunity to do back and forth from the hotel to the beach knowing that the room is just a few meters away. 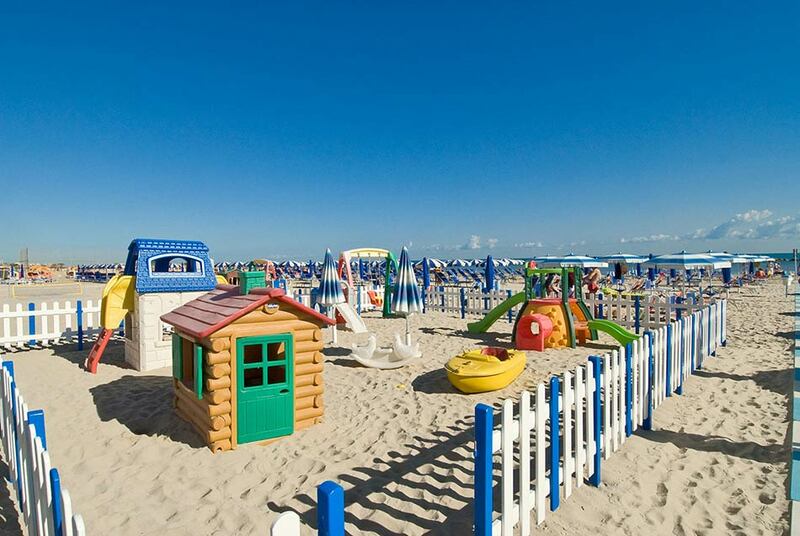 The sea stretch along which we are based is beautiful and quiet and our bathing establishment offers plenty of services among which a children’s playground with slides, swings and baby houses. The bathing establishment also features a Beach Volley/Beach Tennis and a Mini Tennis/Football Tennis field and a petanque court.